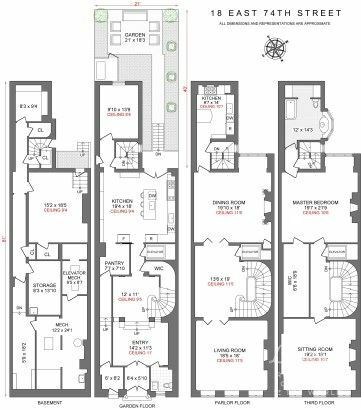 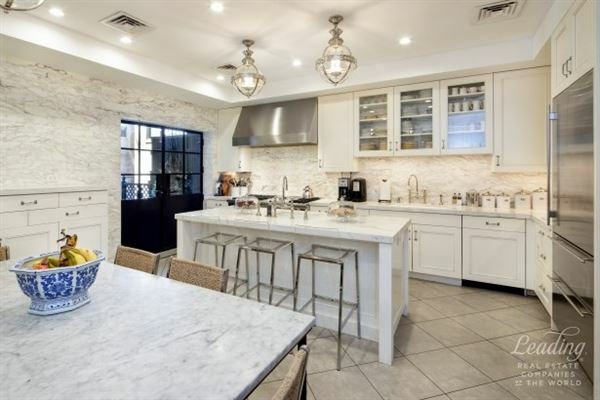 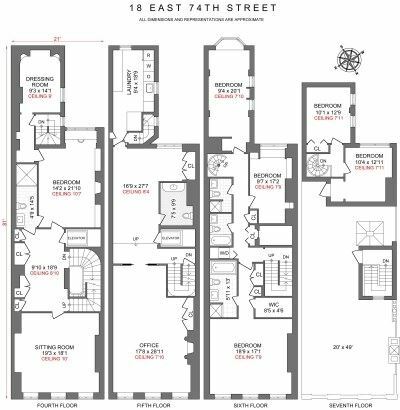 The single most important definition of the value of a townhouse in present-day New York is proximity to Fifth Avenue and Central Park. 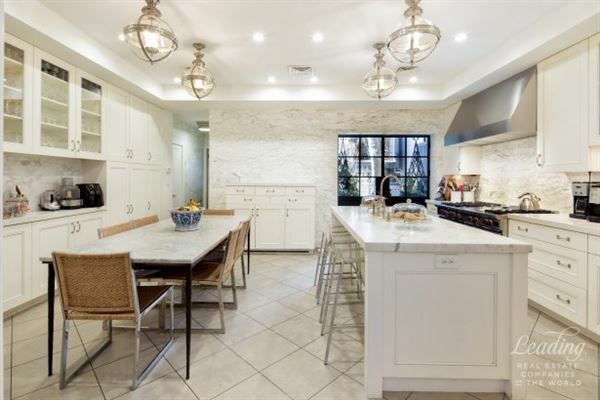 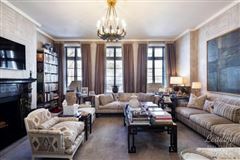 This mansion is perfectly placed off Fifth Avenue on an exceptional tree-lined block with an elegant streetscape of limestone buildings and very low traffic. 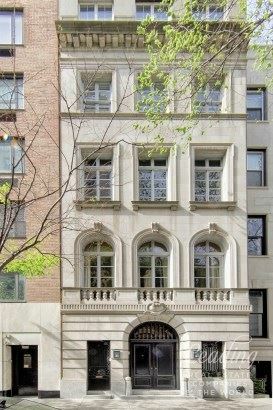 Its limestone facade is neo- Italian Renaissance in style, completed in 1921 by architect A. Wallace McCrea. 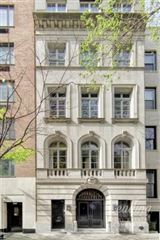 Fortunately, almost every faade on this particular block was replaced with elegant examples of the eclecticism of that new age from the early 20th Century, placing this house in the best possible context. 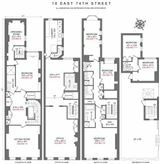 At 21 feet wide, the proportion and ceiling height of this building gives the impression of scale and volume that many 25-foot-wide townhouses lack. 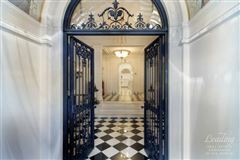 The main entrance is composed of an arched doorway with a pair of large black doors, opening to another pair of wrought irons doors opening to a marble entry hall. 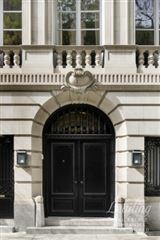 To the left of the grand main entrance, there is a service entrance as well. In addition to the superbly sculptural main staircase, there is a rear service stair that serves the first five floors. Its elevator serves all levels, all critical elements for a well-designed mansion in New York of this period. 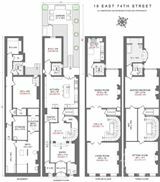 There is exceptional light from the south-facing garden that can be accessed from the kitchen on the entry level as well as from below. 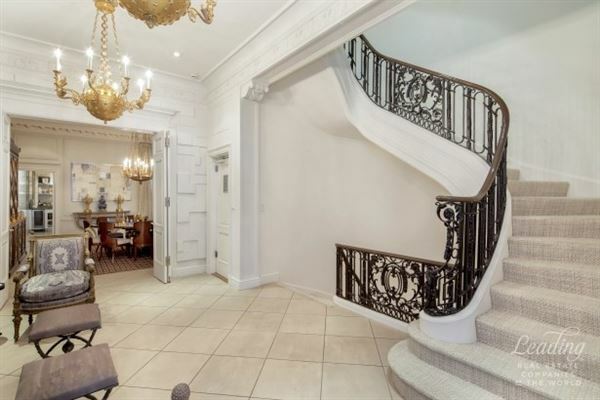 The light at the rear of the building on all levels is remarkable given its great size. 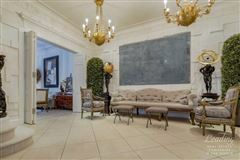 With seven levels plus a full height basement, this house contains approximately 10,316 square feet above grade, approximately 1,490 square feet in the basement, and approximately 1,424 square feet in the garden and roof terrace with two easy entrances. 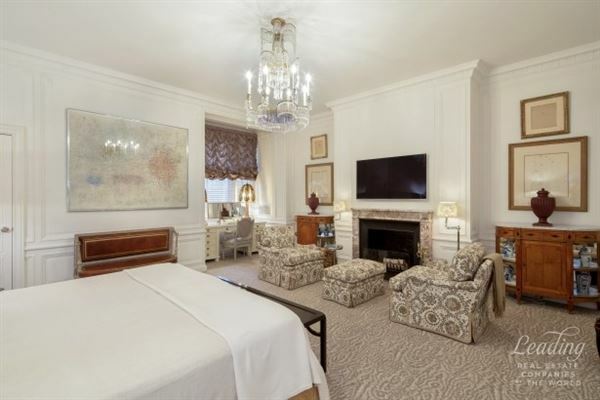 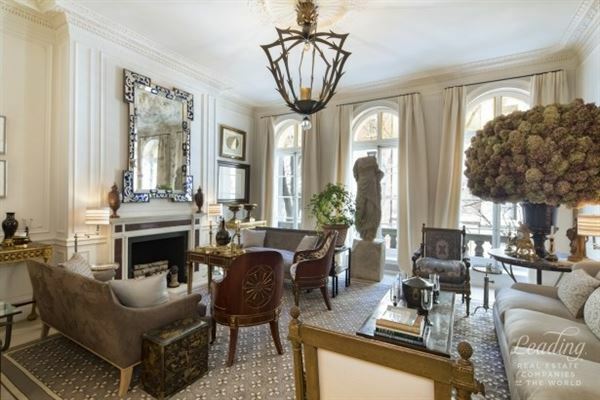 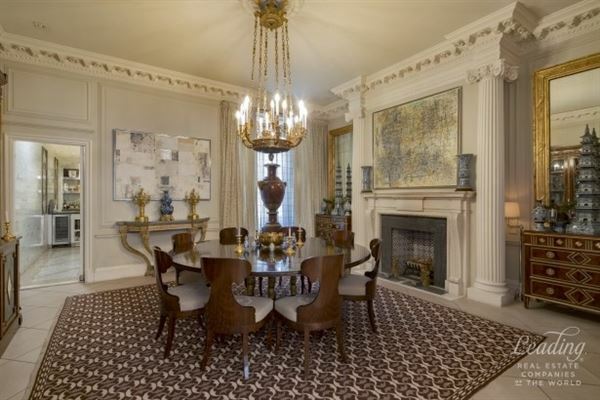 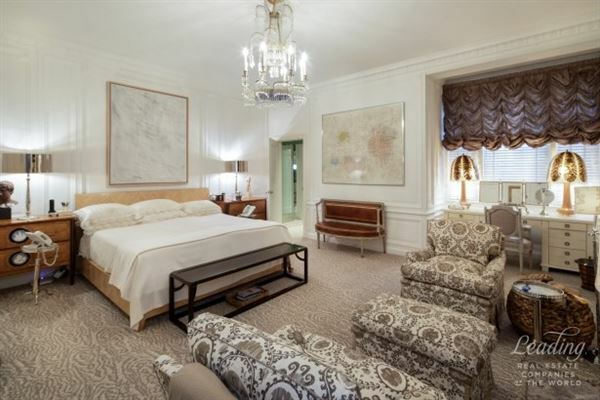 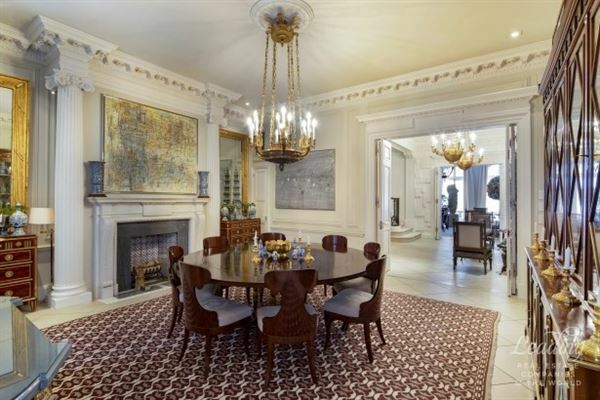 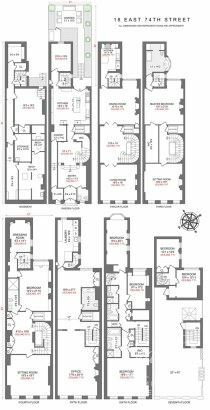 There are 16 rooms, eight bedrooms, five full baths, two powder rooms, five marble fireplaces. The approximately 824sf roof terrace offers glorious Central Park views. What makes the interior of the building so exceptional is the design sense of the owners. Wherever the eye rests there is a visual vignette to appreciate. All of the original moldings and period details - including the wrought iron staircase and the marble fireplaces - have been retained but restored and redefined, and the moldings are now in exquisite shades of crisp white. A new gleaming white kitchen at the rear of the entry floor has two large glass doors that lead the eye the moment one enters to the outdoors, and down into a garden one might find in England. 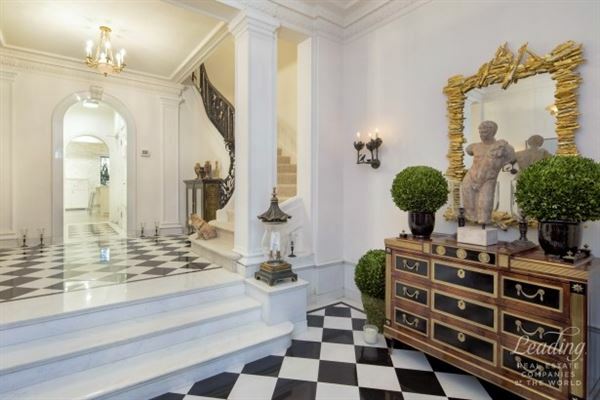 Particularly remarkable is the black and white tiled entry and the materials used and the objects that were chosen, all of which welcome guests to a unique home. The entertaining floor offers the ideal configuration of grand salon with three windows over East 74th Street and a landing so spacious it almost creates a second living room - which then proceeds to a formal dining room with an additional serving kitchen in the very rear, connected by a private staircase to the large kitchen below, a perfect arrangement for formal entertaining and one that is rarely found. 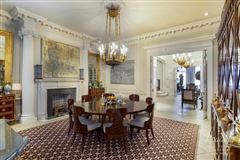 All in, this house is a remarkable blend of the past carried gracefully into the present and future.